The area by Snow White's Wishing Well is quite pretty during the day, but at night, it transforms into a magical and luminous dreamscape of purple and blue hues. The light water and moody setting makes for a bit of a romantic spot, and it's not uncommon to find a couple enjoying the magic of this slightly secluded spot in Fantasyland. 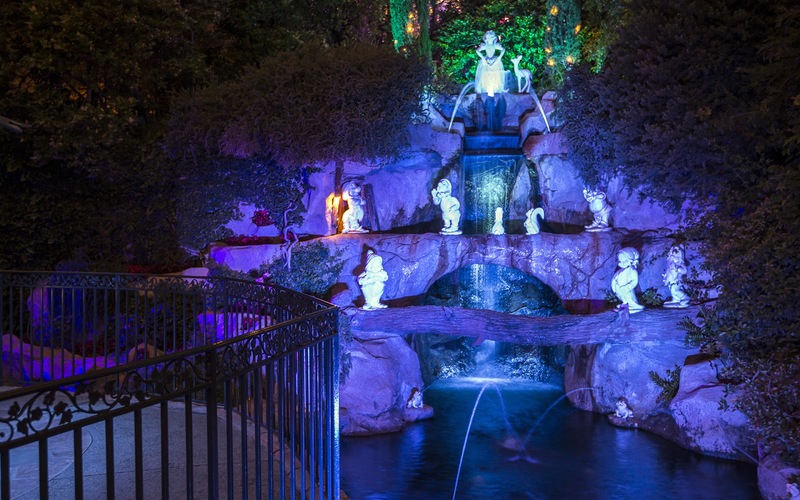 The statues of Snow White and the Seven Dwarfs at night.